Clark Smith is a tough act to follow. By this, I don’t mean that it’s hard to step on a stage after he has danced his ideas across it, but rather that it’s often hard to understand what he’s getting at. In the last few months, I heard Clark Smith speak twice, in very different contexts. The first one was his rambling keynote at the Digital Wine Communications Conference in Logrono, Spain, in October 2013, where he jumped from one topic to the next in rather jarring ways. The second one was an “Enlightening Winemaker Conversation” held in Long Island, New York, in December of the same year, a “technical symposium”, as it was announced, that turned out to be a very loose conversation indeed. I’ve also regularly read his Postmodern Winemaking column in Wines and Vines magazine, and read through his book of the same name published by the University of California Press. Throughout this hearing and reading, I’ve been struck by the same thing. Clark Smith has a tremendous knowledge of the science of wine – things like oxidation and reduction, microbiology, tannins and phenolics, pH and alcohol levels. He also has a very strong technical and technological capacity, as demonstrated by his patenting of several tools to correct defects in wines, the most well-known being a patented method for alcohol reduction through reverse osmosis. However, the conclusions he draws from that knowledge and know-how are sometimes very difficult to connect with their premises. His discussions of various technical topics often start drifting off on a tangent, making them at once hard to follow and difficult to discuss and debate. His oscillations between the technical and the artful make him difficult to pin down – something that eventually seems purposeful, the more you read him, hear him and talk to him. Take, for instance, what he defines as one of the “key notions” of “postmodern winemaking”, in the preface of his book: “Wines depend upon good structure for their soulfulness”. The introduction of the term “soulfulness”, instead of, say, “balance and longevity” makes the notion rather difficult to grasp and define. Or to debate, for that matter. Smith’s whole concept of postmodern winemaking actually rests on that mix of technical and spiritual, of scientific and sometimes almost mystical. The results are sometimes hard to follow. This is a writer who extolls the virtue of biodynamics “because of its impenetrability to conventional scientific investigatory practices”, but then goes on, on the very next page, to denounce “natural wine nonsense” and criticize the proponents of natural wine (notably Alice Feiring) for not providing a clear definition of what natural wine is. 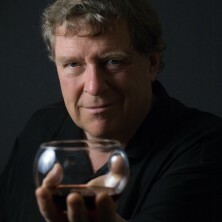 He also insists that “a complex natural ecology” is essential in providing “distinctive and soulful character” to wine (and other foods), yet will advocate that bringing a wine’s alcohol content down by 3% or using cultured yeasts and other additives is a way to create a wine that better expresses terroir. One example of this is the “Faux Chablis” he makes under his own Winesmith label. To create this Napa Valley chardonnay, Smith takes Napa chardonnay grapes at what he deems to be optimal maturity… and then takes out a significant amount of alcohol to bring out the “lemon oil” character that, he claims, is the true signature of Napa terroir in chardonnay grapes. To me – and many others – this kind of statement is an obvious contradiction. If chardonnay grown in Napa results in high alcohol at maturity, then high alcohol is a signature of terroir. If that results in an unbalanced wine, then doesn’t that mean that the grape is simply not suited to the place? Wouldn’t it make more sense to plant fiano or roussanne in Napa Valley, grapes that would likely yield a better balance of acid and alcohol and flavour at maturity, in the valley’s climate? Clark Smith’s argument seems to imply that this adequation between the place and the grape doesn’t really matter, because you can adjust the wine afterward in the cellar. However, if you reverse the argument, then planting grenache noir in Burgundy (or the Finger Lakes) would also make sense, because even though it would never ripen, you could produce a palatable wine through chaptalization, deacidification and the addition of Mega Purple. While the Faux Chablis, in any case, results in a pleasant wine, there is more difficulty in reconciling Clark Smith’s theories about oxygen management in wine with some of his red, no-sulfur wines. Again, in his book on Postmodern Winemaking, the theory about why certain wines are more resistant to oxygen than others is solid, as he addresses the role of phenolics and pH. 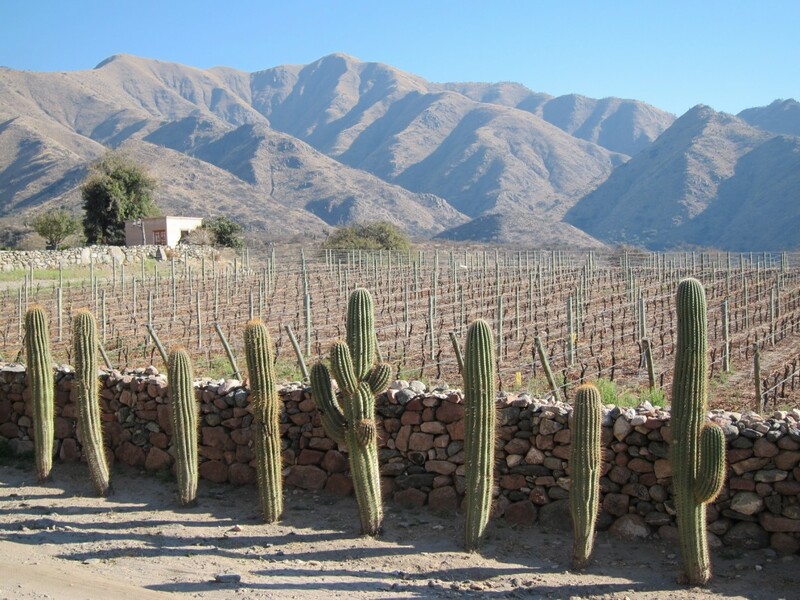 It does get a little shakier when he says that some wines’ “intense minerality” imparts them with great anti-oxidative resistance, because his definition of minerality remains a bit more vague and speculative. In any case, upon tasting, several of the red wines he himself praised for their oxygen resistance (inviting us to leave them in the trunk of one’s car for several days to test their staying power) showed what seemed to me like clear signs of heavy oxidation. The 2010 Diamond Ridge Vineyards Cabernet Franc he showcased at the Long Island symposium showed powerful aromas of bullion cubes, Bovril, dill pickle juice and dirty martini. All of these aromas indicate significant oxidation, and none of these could be defined as varietal typicity. It is possible that they won’t change over several days after opening, but that would likely be because they are already oxidized, more than because they are protected from oxygen. 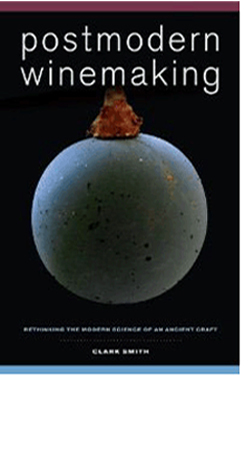 Beyond the issues of theory and practice, what has struck me throughout these interactions with Clark Smith – and some one-on-one discussions as well – is the malleable character of his interventions and a certain looseness with the facts. One example among many is his repeated claim that he was “supplied” by Alice Feiring, a writer who is arguably the most well-know advocate of natural wines in the United States, with a list of do’s and don’ts for natural winemaking. The list in question is in fact available for all to see in Feiring’s book Naked Wine, and was actually provided to her by Jason Lett of Eyrie Vineyards, in Oregon. Why claim this affiliation with Alice Feiring when Feiring herself strongly disputes any such connection between them? Why try to present an advocate of natural wine as an ally of some sort, while saying in his book that the natural wine movement is “naïve and misinformed”? Clark Smith, indeed, sometimes seems to want to be everything to everyone. His stance on postmodern winemaking – use any technology you want, but please be artful and soulful, too – seems an incarnation of that. And in many ways, one can’t help but be reminded, as one goes through these back-and-forth motions in his thinking and writing, that Clark Smith also makes a living as a consultant, a business in which getting your clients to like you and providing them with customized advice are very useful skills. At the “technical symposium” in Long Island, he started a discussion of technology and winemaking by saying “I have no dog in that fight”. How, pray tell, can someone who created technology that strongly transforms wine and has influenced so much modern winemaking through technology claim that? “He IS the dog in that fight”, laughed a Long Island winemaker, when we discussed that statement after the event. Thanks Remy for taking the time to articulate such a thoughtful point of view. I find little to dispute in it, and am very happy to hear how I’m landing for you. I particularly like the Marshall McLuhan quote. I’m pretty proud to have avoided simplistic pat opinions in an arena in which I really don’t know what to think. This is the essence of postmodernism. Juxtapose apparently incompatible local truths into some kind of thought tapestry which tries to embody in its entirety a useful perspective with more questions than answers. This is supposed to be jarring. It’s tricky business, but I do hope to awaken my audience rather than to alienate them. Easier to do one-on-one, as you have seen. been out of touch for so long that we are not even using the same language. with how the tools and models they develop are actually useful to the art. Techies should be servants of aesthetics, not its enemies. This is how it is in the music business and the movie business. I speak of soulfulness in the same sense as one would describe a piece of music like, say, Samuel Barber’s Adagio for Strings, which to me is very soulful, but more so in live performance in a great hall – broader spectrum vibrations I suppose, and something about personal connection with the musicians. This is how I see approaching winemaking technically – eye at all times on the aesthetic prize. You can give it other names if you want, but it alludes technical pinning down. Wine, like music, is fundamentally mysterious, and that’s a good thing. and what we may have lost. This kind of examination is best done in an environment of open discussion, and that is what I am trying to promote in these technical symposia. for thirty years, I can tell you that no vineyard comes in with perfect balance every year, and fine-tuning adjustments such as blending differing processes, sites and varietals are how we all work. In my opinion, the Cabernet Franc I poured is not at all oxidized – it is quite reductive, which is why the fruit is so forthcoming in the mouth and totally suppressed in the nose. I do think I bottled it way too early. Sulfite-free wines are a Brave New World in which there is much to learn. It’s early days. I’m trying to apply a technical understanding which I am hopeful can make these wines easier for others to attempt. I should have poured you guys something more obviously successful, such as my 2004 Roman Syrah. for putting words on what many others are thinking. My prevailing thought after reading this is “I’m glad I’m not the only one.” Thanks, Rémy. Very interesting post and response! Having spoken to both of you personally during the DWCC in Logroño, and having read the book, I’ve been thinking a lot about all this. I’m interested both in the practicalities and also in the philosophy, because I’m a winemaker, and the type of wines I try to make are delicious, live, interesting, unique wines that express their terroir. And the way I try to do that is first to grow top quality native grape varieties (no chemicals or fertilizers) and then to intervene as little as possible in the winery. So I’m completely against the use of the machines and processing expoused by Clark. I don’t believe that you can create terroir, soulfulness, minerality, etc by hi-tech tinkering and processing. But now we get to the philosophical bit: what if a wine tastes, smells and feels like its got terroir, soulfulness, minerality etc after being processed in Clark’s laboratory? Has it really got those qualities, or does it just seem to have them, even if it’s indistinguishable from a “real” wine (ie a wine that acquired those qualities naturally, without the use of added ingredients or hi-tech)? I’m afraid I go with Rémy: You can’t have your natural yeast and inoculate too! If you micro-oxygenize and reverse osmote, etc, then you lose the soul, the terroir, the minerality, all that stuff! Clarke, if only you could invent a machine that detects the difference between the original natural terroir/minerality/soulfulness in a wine and the simulated terroir/minerality/soulfulness created by the added substances and hi-tech processing! Also really interesting is what you say about taking for granted the use of electricity for lighting and for temperature control, and the use of stainless steel, and plastic for that matter! It would be really interesting to set up a primitive (pre-18th century technology?) winery and see the effects on the wine made, all other things being equal. As you say, we don’t even know what we’ve lost. Or even if we actually have lost anything! I suppose this is a vast & complex topic with no easy answers and now that it’s the 21st century it would be foolish to not avail ourselves of the help of technology & machinery in making wine. My personal reasoning is that its all about poise, elegance & balance in the finished product and when you go to any absolute extreme in wine making you can create a product that is either all natural or all technology when the truth is somewhere in the middle. As I believe whether you are a wine maker, wine merchant or wine drinker/consumer you should enjoy the wine, savor & share the wine with others. I mean lets face it, lots of wineries use chaptalization, malolactic fermentation, etc so I don’t think there should be any rigid rules in place.. Yes I am a terrior wine person, definitely as all wine shouldn’t taste the same because its all made in the same way using the same ‘recipe’ and using only new oak. That said if you use reverse osmosis or other ways to reduce alcohol or bring out its sense of place, frankly why not? For the record, here is my 2007 discussion with Alice concerning her list of concerns: http://bit.ly/1fXKVXW. Who’s being loose with the facts?